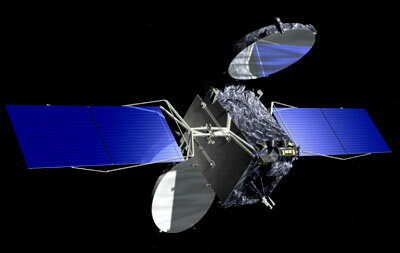 SES New Skies, an SES Global company announced in November 2006, that a contract for the construction of the NSS-9 satellite has been awarded to Orbital Sciences Corporation. NSS-9 will be procured by SES Global Satellite Leasing Ltd., and will be commercially operated by SES New Skies. The NSS-9 spacecraft will be positioned at the orbital location of 183(degree) East, allowing NSS-5 to be re-deployed to a new orbital slot. SES will choose a launch service provider for the NSS-9 satellite in the near future. NSS-9 will carry 28 active C-band transponders and feature three beams that can be interconnected on a transponder-by-transponder basis: A global beam providing coverage of the entire earth visible from 183° East, a West hemisphere beam (covering Australia, Indonesia, the Philippines, Japan, China, Korea and the Pacific Islands) and an East hemisphere beam (providing coverage and connectivity to the U.S., Hawaii and Polynesia). The satellite will be specified for a minimum service life of 15 years. Based on Orbital's Star-2 Bus, the spacecraft will have a launch mass of 2230 kilograms, a payload power of 2.3 kW, and it will feature key redundant on-board systems to provide maximum operational security.